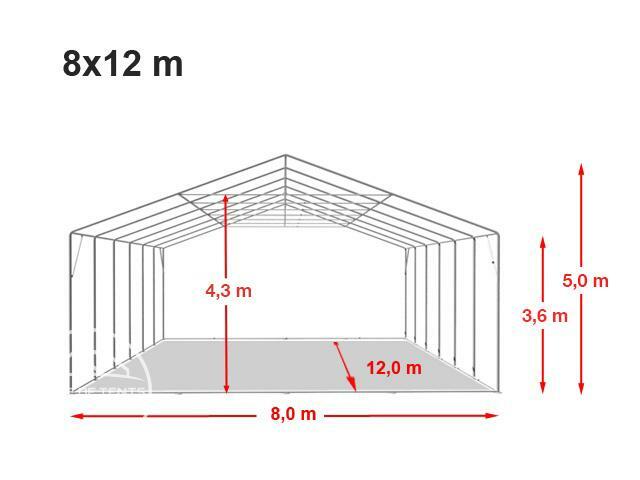 With a lateral height of 3,6 m and a ridge height of [5,0 m, this VARIOStore storage tent offers a lot of space upward. The hard-wearing lifting gate allows quick and easy access to the tent, even with larger vehicles. 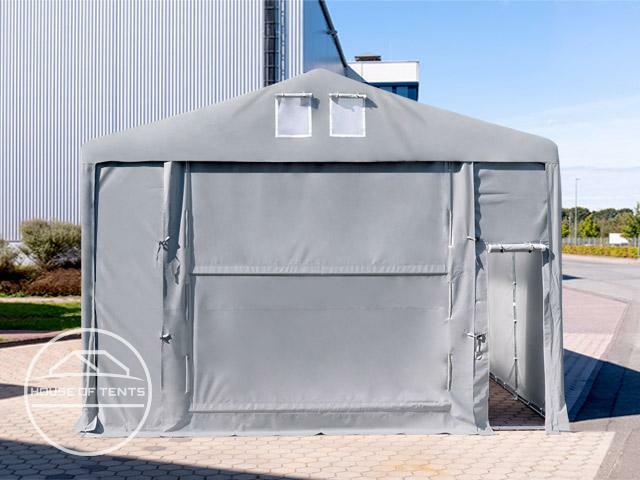 In the professional quality, this particularly robust and very stable storage tent is ideal for year-round use. 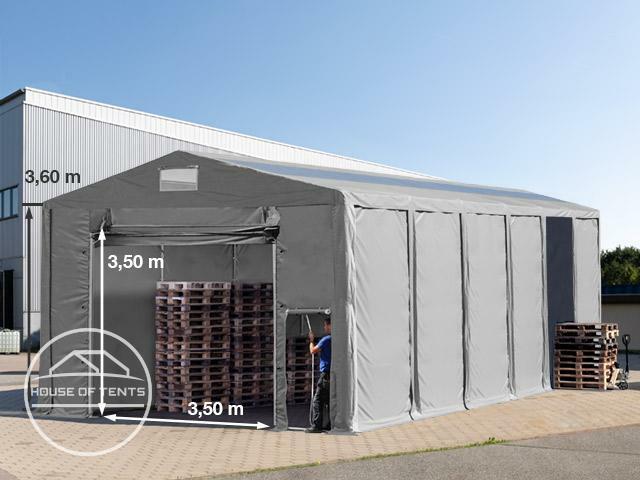 The approximately 550 g/m² PCV tarpaulin is UV-resistant and 100% waterproof. The high sun protection factor of 80+ protects the stored goods ideally against UV radiation. 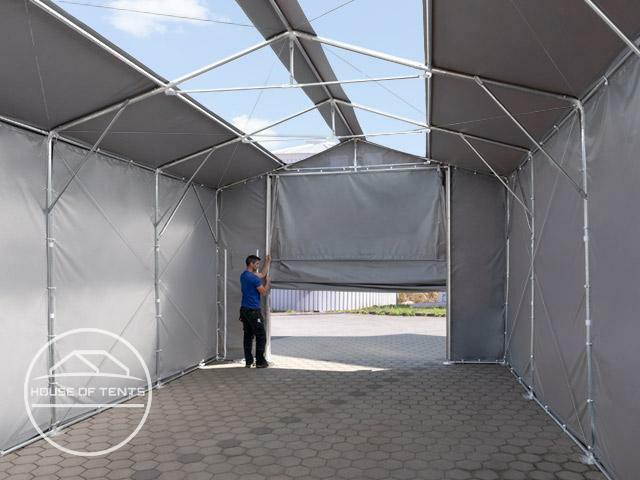 Transparent skylight strips made of PVC-material provide enough daylight in the tent. Thanks to its individual side panels, it offers many body variants and thus a high degree of customisation.